There’s nothing like a cool, creamy smoothie for a quick and easy meal. The trick though is getting the balance of ingredients right so it’s both filling and nourishing and you’re not left feeling hungry an hour later! As a nutritionist, one of the common things people say to me is that they love smoothies, but they just don’t keep them feeling full. 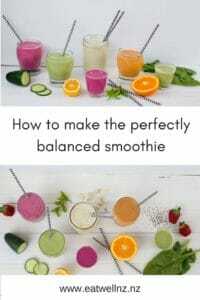 So today I thought I’d share with you my tips on creating the perfectly balanced smoothie that’s smooth, delicious and filling. If you’re having a smoothie for as a meal, you need to consider how much you’d normally have to eat at a meal. For example, a little coconut water and a handful of berries wouldn’t sustain you for breakfast, so you’d need to add more than that to your smoothie. 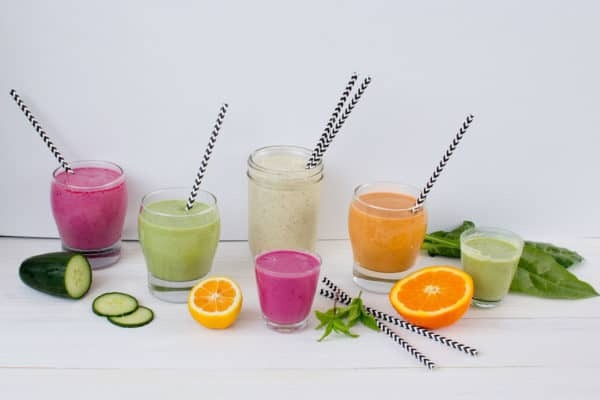 To keep you full, a smoothie should have a good balance of fruit/vegetables (which provides carbohydrate for energy), some healthy fat and a protein source, blended together with a liquid. These are all just general guidelines, so experiment and work out what works best for you. The other thing that’s essential in creating a perfect smoothie is having the right equipment. The key to getting a nice textured smoothie is a good blender. 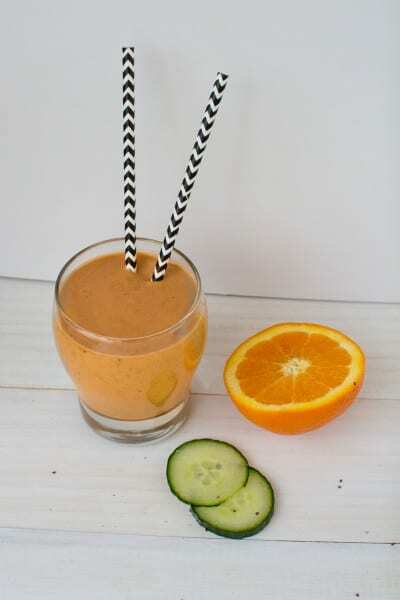 When it’s a smoothie, you don’t want to have to feel like you have to stop and chew! I really never enjoyed greens in my smoothies as there’d always be stringy bits or chunks but now I’ve got a NutriBullet, I’m loving it. The NutriBullet definitely lives up to the hype. Even tougher vegetables are completely blended up so you’d never know they were there. I snuck cucumber into my husband’s smoothie and he had no idea. The same goes for nuts, seeds and dates – they’re blitzed up beautifully in the NutriBullet. This is useful from not just a texture perspective, but also nutritionally for some foods such as seeds. For example linseeds are a source of omega 3 fatty acids, but unless they are ground, they tend to pass through the body undigested. The NutriBullet really breaks these down so you can get all the goodness out. Full of vitamins, minerals, fibre and antioxidants, fruit and vegetables are the superstars in nutrition. 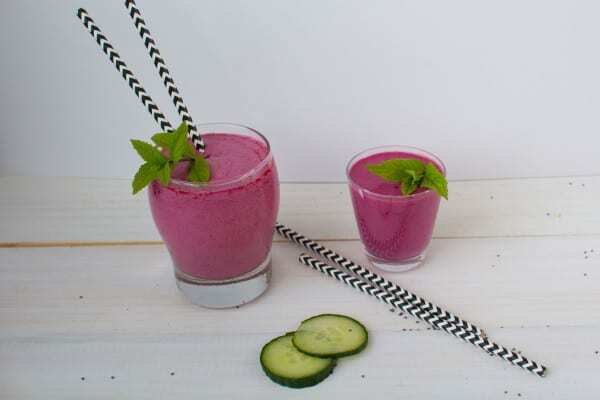 I’d generally suggest sticking to 1-2 serves of fruit in a smoothie for a serving and topping up your smoothie with a serve or two of vegetables. This provides a good flavour base and provides carbohydrate for energy. For a creamy smoothie, a banana is always a good base. As soon as mine start to go a bit spotty in the fruit bowl, I chuck them in the freezer to wizz up into smoothies. I pop them in the freezer whole, then when I need one, I either run it under hot water or microwave it for 30 seconds so it’s still frozen, but I can peel off the skin. 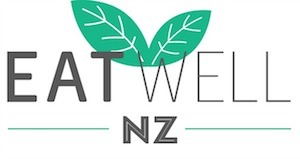 Any other fruit can be used in a smoothie, and some of my favourites include kiwifruit, passionfruit, berries of all types and feijoas (when they’re in season). For vegetables, you can add as many as you like, but I find to keep the taste balance right, generally between 1-3 servings is good. Avocado – avocado is great source of healthy fats and can help make your smoothie nice and creamy. It’s perfect in a green smoothie. I’d use about 1/4 of an avocado as a good portion size, and if I used avocado I might use a little less nuts/seeds to balance out the fat and energy content. Protein is the king nutrient when it comes to helping you feel fuller and will help make your smoothie sustaining. If you’re making your smoothie with cows or soy milk, this does give it some protein (there are around 10g of protein in one cup of low fat milk), but I like to top it up with either some Greek yoghurt or protein powder. 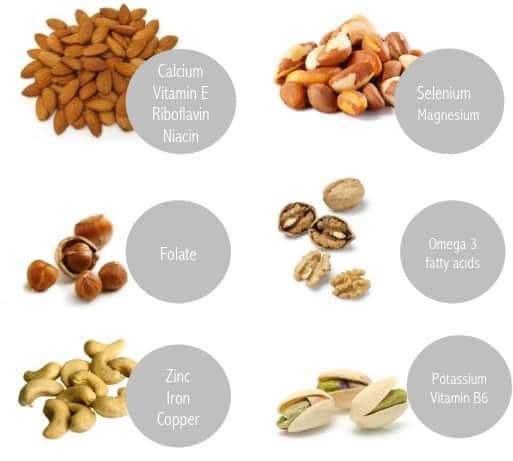 Nuts and seeds provide both fat and protein, so adding a serve of these will add a small protein boost too. Greek yoghurt – I’ll often buy Anchor Greek as it’s the highest in protein, but just buy what you like. I’ll add about 3-4 heaped dessert spoons. Greek yoghurt is also a good source of calcium and provides vitamin B12 and vitamin B6. Yoghurt also helps thicken the smoothie. 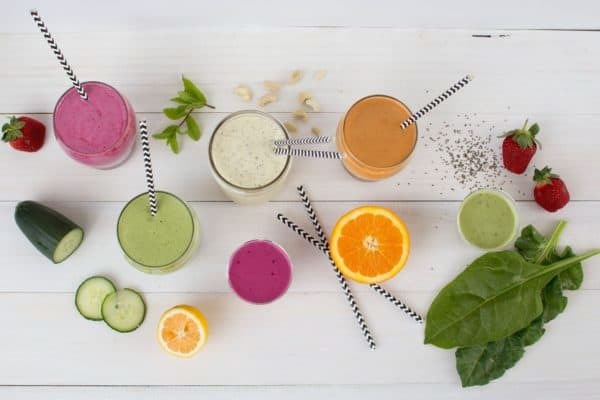 Protein powder – There are so many on the market, and to help you choose I’d suggest looking for a naturally sweetened product that is just protein powder. At the moment I’m using Clean Lean Protein powder, and in the past I’ve used whey but there are plenty of natural options on the market today. Protein powders are not a necessity at all, but can add a good protein boost, flavour and texture. Nuts and seeds pack a huge amount of nutrition into a little package, and the great thing about using a NutriBullet is that it grinds them up to perfection so you don’t have lots of lumpy bits or chunks in your smoothie. Nuts and seeds are a good source of healthy fat which when combined with other foods slows digestion so they help to keep you satisfied and full. A couple of tablespoons is generally a good serving size, but you can have more or less depending on your own nutritional needs. Chia seeds – Chia seeds are rich in nutrients. They provide omega 3 fats, magnesium, potassium, selenium, calcium and phosphorus as well as smaller amounts of other vitamins and minerals. Chia seeds also swell up and make your smoothie thick if it’s left to sit a while. Linseeds – these are a lower cost option than chia seeds that also provide omega 3 fatty acids. They are also a source of magnesium, potassium and dietary fibre. The NutriBullet does a great job of grinding them up. Herbs and spices such as mint or cinnamon; vanilla bean paste, cocoa powder and Fresh As freeze dried fruit powders are some of my favourite flavour boosters for smoothies. 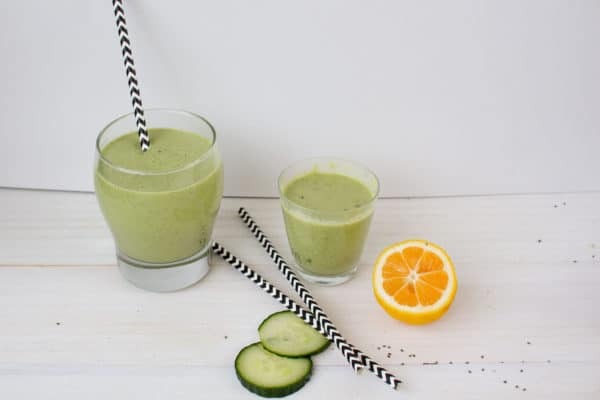 Mint is lovely in green smoothies and fruit powders really boost the flavour intensity. Experiment a little with these and find something you like. They’re not a necessity but they help mix things up and up the tastiness. There are so many other extras you can buy in the form of Green vegetable mixes to ‘superfood’ powders. These are not necessary, but if you want to add them feel free. Spend your money on the basics first. So, lets put all this information together in a couple of delicious, healthy smoothies. In my opinion, this is the tastiest green smoothie out. The mint is an essential; it adds a gorgeous taste and helps highlight the sweetness in the banana. Place all ingredients into the NutriBullet and blend until combined. 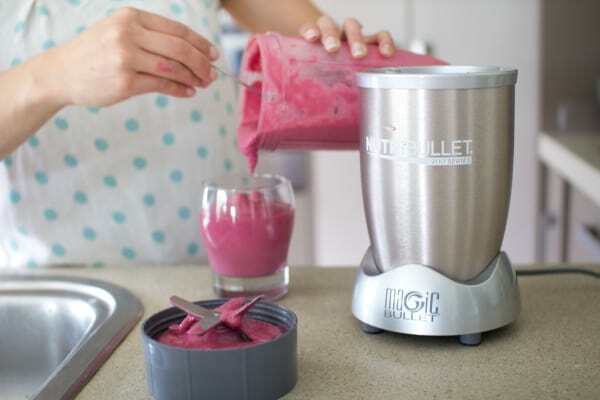 GETBLASTING at the NutriBullet website here. Thanks Megan! Green smoothies can be delicious, I think the key is the mint. Takes it to the next level. Hi Nicola – I just stumbled across this post and it’s great! 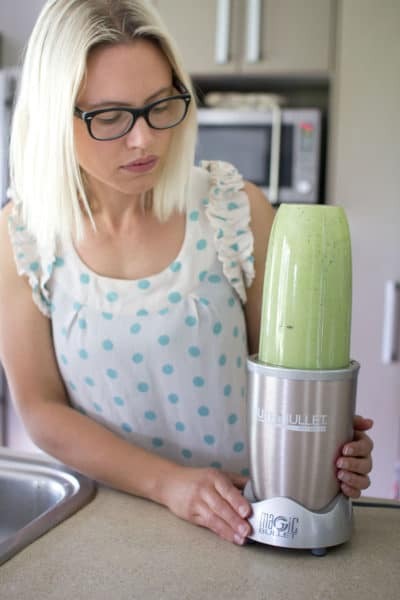 I totally agree that the Nutribullet is well worth it. I have a smoothie every morning as my breakfast so it’s nice to find new flavours to create. Hi Katie, I’m glad you liked the post. I have done that before, but I have been a bit lazy lately! But after reading your tip I bought some more glad bags and bagged up a slightly overripe bunch I bought on special at the supermarket which makes making them much easier!